Volume boosters are great tools for boosting the sound of your phone’s speaker to its maximum for a better sound experience. The Super Loud Speaker Booster – Volume Booster is an incredible volume booster for android smartphones that gives you the ability to maximize the volume of the speaker and its quality. We liked this app and the features it offers so much, we pronounced it our Tool of the Month. What is so special about this booster? 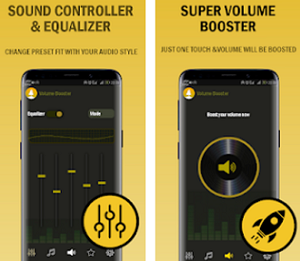 Developed for Android users, this is an amazing speaker volume booster that offers you a speaker and headphones volume increaser and equalizer bass booster and music player all in one app. 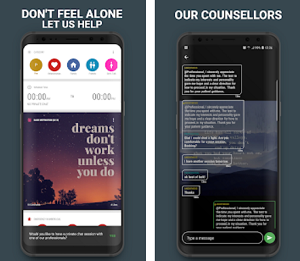 With its clean interface and gorgeous design, the app allows users to control their phone’s volume for all sound streams, boosting the phone’s sound to the max using a single key. The volume can be raised to any desired level of your choice, even when it’s not set to the maximum without limitations on the maximum amplification capabilities on the android sound card of the user. The volume of your speaker can be easily increased to the maximum as well for the sound quality depending on your Android device. The five and music equalizer enables users to adjust the soundtracks and the users can even choose among 10 different professional music genres presets. Users can play all their music using the EQ and music spectrum at the same time without the need to download separately a music player and equalizer. For an even better experience, users are offered wonderful visual sound spectrum to watch as they are listening to music at the same time. Accordingly to the audio rhythm, all sound spectrum move. Any program can be made as loud as you like with the volume booster. You will enjoy the music player equalizer without distortion when increasing and your favorite music without external speakers. The device volume can be boosted with a single tap and no root is required. Also, you are offered a sound amplifier equalizer and subwoofer bass booster. Super loudspeaker sound is offered when the volume is increased with enhanced bass boost and speaker boost and other sound effects as well. Download the app on Google Play for free to easily enhance and control the volume of your phone’s speaker!